So, everyone has been asking about better historical data, including full flight paths, not just start and end points. We have a feature under development, and it’s at least ready to the point we can start getting some use out of it. This feature is still in testing, and could still be “Under Construction” over the next few days. If you observe strange behavior, let me know. 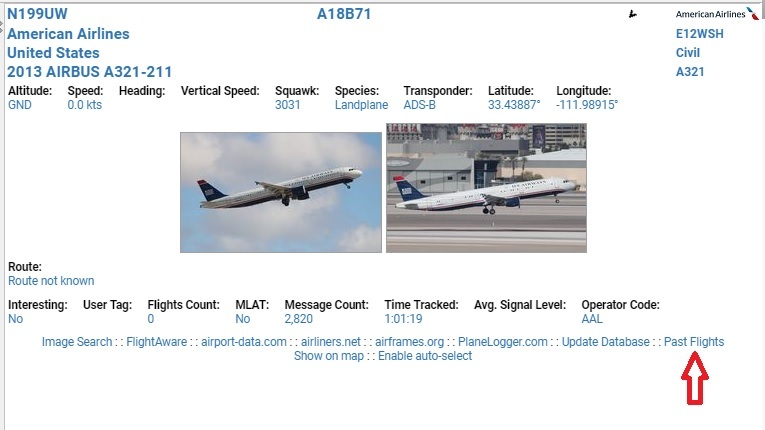 On the aircraft details panel, there is now a link for “past flights” as shown below. When clicked, a list of dates that aircraft (based on ICAO) was active is displayed. 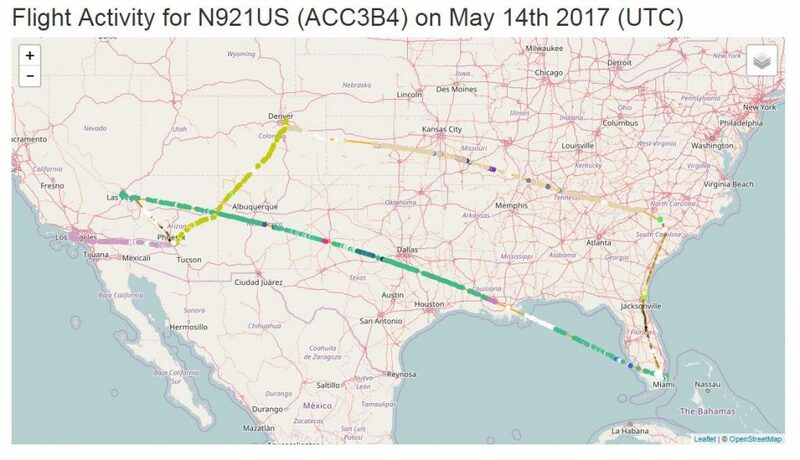 When one is clicked on, maps of that day’s (UTC ‘Day’) flights is displayed. Awesome! Thanks for all you and the coding teams’ work! Is this live yet? I haven’t seen this option it on the US west coast so far. Nice idea, if only it worked. Constant 504 errors, just like the previous form. It only ever shows one record and there is no date or time appended to any of them, regardless of the display options set. The old free form report had more options to search, will these be available again as model code search was one I used the most? Re – 504 errors, if the ICAO has no records in the system, or the plane does not have a record in the “aircraft” table, this happens. (thanks for bringing this to my attention). The developer is working on better error handling in the first case, and re-programming to show the data without the reg in the second case. The Issue with the old free-form report is that VRS is based on SQLlite. SQLite is not nearly robust enough to handle the volume of data necessary. If you can describe what kind of criteria/options you’d like, I can work with the developer to enhance the query form. This is going to be a better solution long term. are you aware that past flight database is 2-3 weeks old recent flights are missing. Is this normal ? or is there a data processing issue?